Any investor can sell their Trust Deeds on CrowdTrustDeed with the ability to price their loan at par (the current note rate), or sell it at a premium or discount. Investors can elect to retain a servicing spread too, for regular monthly income. There is no fee for listing a Trust Deed on CrowdTrustDeed. A fee is only due upon closing, when the Trust Deed sells, and is paid directly from escrow. Closing and Escrow is managed by the Sponsor and a licensed escrow company to ensure safe, secure and compliant transactions. Are you a California Resident and interested in earning additional current income by selling one or more of your California Trust Deeds or fractional interests? 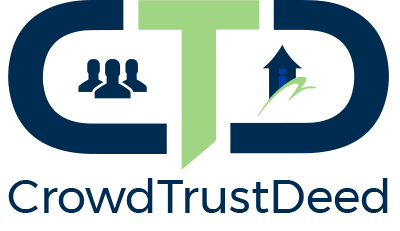 Residents from outside of California can sell their whole loans on CrowdTrustDeed. Please contact us, we will guide you through the process. The marketplace fee is .50% (50 bps) to the Sponsor (Seller). The minimum fee for a seller is $500. The sale of a note, or fractional interest, of less then $100,000 will result in the minimum fee being assessed. Title, escrow and closing charges are not included in the marketplace fee.